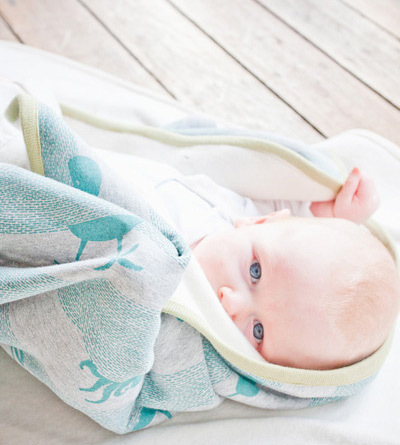 I'm a huge fan of the Ink & Spindle eco-friendly textiles and surface art, so when the Melbourne-based girls teamed with childrenswear designer Dana from Twiglet, I knew the resulting collaboration was going to be something pretty special. 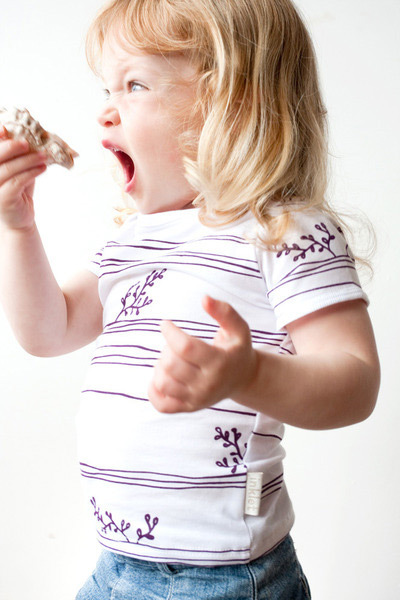 Behold, Inklet eco-friendly kids clothing! 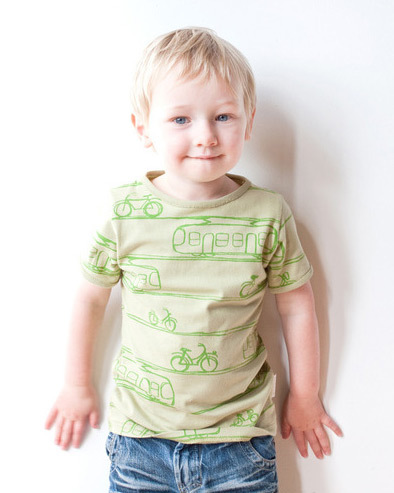 You'll find a great range of t-shirts and onesies (sizes 0-4), bibs and blankets with fun trams and bikes, ocean faring, and sweet twig motifs. 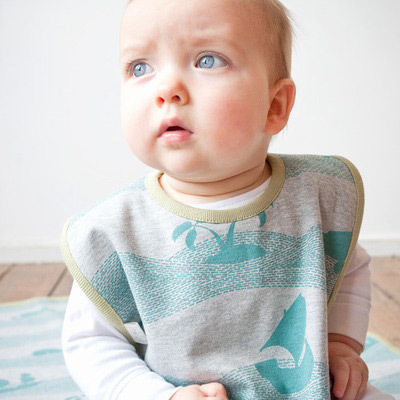 All Inklet products are locally made with certified organic cotton fabrics and screen printed by hand with water-based, environmentally-friendly inks. It's so great to see a range with a strong focus on designs that appeal to the boys as well as the girls. And if you fancy yourself handy with a sewing machine, Ink & Spindle offer the Pirates and Sea Creatures and Trams and Bicycles design on jersey by the metre (and for textiles too!). You can find Inklet in the Ink & Spindle online store. Read more about Ink & Spindle here on Bondville. 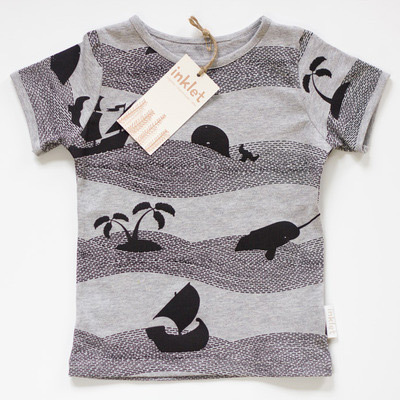 And head over to Bondville Kids Style for more great Australian-designed clothes for kids.